Dropshipping is one of the most practical and most profitable strategies when it comes to building a small or even a medium-sized business online. Here in the Philippines, hundreds of independent online entrepreneurs are raking in healthy amounts of monthly income using the method. The great thing about starting an online dropshipping business in the Philippines is that most people can do it. In the simplest of terms, dropshipping involves creating an ecommerce store where you display and promote products. But you don’t own these products. In short, your online store only serves as a display window for your prospective customers. When a customer decides to buy from your store and sends in an order, that’s when you get to work. You go to your supplier, make the order in the name of the customer, and your supplier ships the product to your customer. So basically, you are some kind of a retailer but you don’t keep any inventory. It’s like setting up a physical store wherein you only display items on your shelves. When a customer walks in and says he wants to buy something, you take his order, run out the door, go to another store, buy a similar item, then run back to your own store, and give the item to your customer. Of course, you need to sell the item at a higher price if you want to make some profit. This is exactly how dropshipping works, only this time, it’s done on the internet. To summarize, you need to partner with a supplier which will provide you with the products that you're going to sell in your ecommerce store. You market and promote the products, the customers make orders through your store, you purchase the ordered items from your supplier, and the supplier ships the products to your customers. Everybody wins. Step 1: Customer places order with your shop. Step 2: Shop places order with third-party supplier. Step 3: Supplier ships order to customer (invisibly). Step 4: Shop alerts customer that the item has been successfully shipped. Now, let's get to the nitty-gritty of things. How exactly do you start selling online through dropshipping in the Philippines? To make things a lot easier to understand, I am going to focus on two online companies for this guide. And these companies would be Shopify Philippines and AliExpress. Of course, there are other companies that you can use like Amazon and Shopee but so far the easiest to use are Shopify Philippines and AliExpress. You can learn more about the various features of each account type here. Shopify offers a 30-day free trial for dropshippers in the Philippines. You should take advantage of this opportunity while you can. You can use the platform without any strings attached for 30 days. Once the 30-day period expires, it's up to you whether you want to continue with the service or not. This is a good way to try the platform and see if it's the right fit for your planned online store. AliExpress: This is the ecommerce platform where you can find suppliers for your Shopify store. It's highly recommended that you study the platform from top to bottom before you start dealing with suppliers. There are tons of resources online that can show you everything you need to know about AliExpress and how it works. Once you've digested all the information you need, go to the AliExpress website and create an account there. 1. Go to to official website of Shopify Philippines. 2. Click on the "Get Started" button. 3. Fill all the requested information like your email address, your store name, and contact details. 4. Add products to your store. This is where your AliExpress account comes into play. You will be adding products from AliExpress suppliers. You should go to Shopify's Help section to find guides on how you can add products to your store. 5. Customize the overall look of your store. This allows you to tinker with logos, text, colors, and themes. Don't worry, there are hundreds of Shopify themes that you can choose from. 6. Set up your domain name. Go to your "Dashboard" and find the "Add Domain" option. Follow the steps as required. 7. Set up and activate your payment processor. 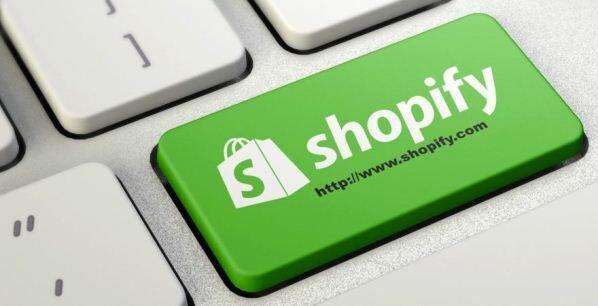 Shopify supports over 100 payment gateways. The payment gateways supported in the Philippines include 2Checkout, Coinbase, Mastercard Payment Gateway Services, PayDollar, and PayPal Express Checkout. 8. Set up your shipping rates and details. 9. Make your store live.